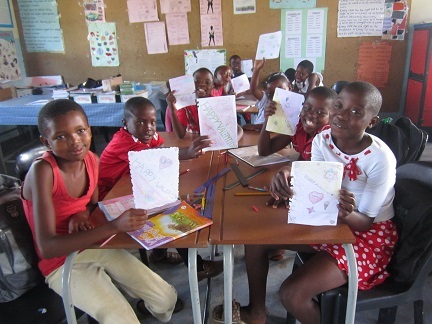 Happy Valentine’s Day from our learners to you! To be honest, I did miss the hilarious awkward middle school love-lust today. 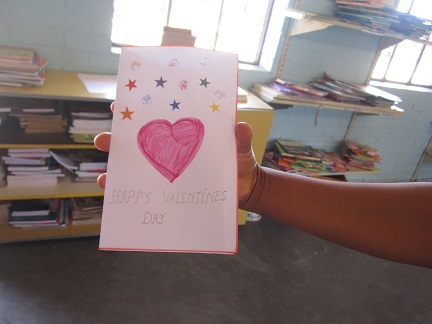 However, it was a change of pace being at a primary school because my South African learners aren’t too cool — just yet — to not make Valentine’s Day cards for their family or teachers. 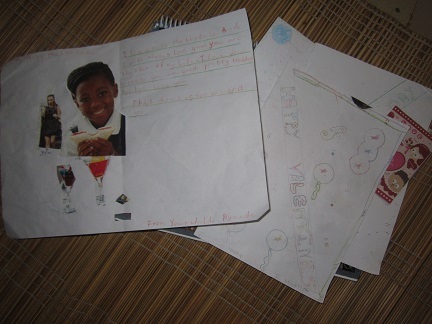 My English counterpart had her grade 4 students make Valentine’s Cards in English for their loved ones then present them. I really admire her creativity in the classroom. This is her example. Show Miss Mathebula your cards! They each wanted an individual picture! 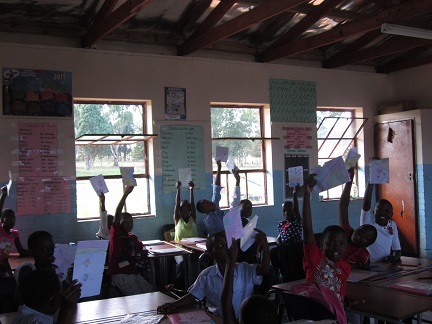 Grade 4s and their cards after presentations. 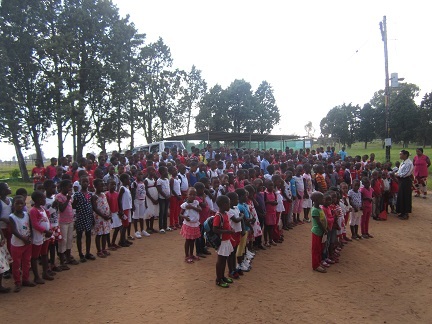 All the learners out of uniform and wearing red, white and pink! I didn’t get the memo because they told the learners in Zulu…typical.